You might think a particular house looks perfect for you, which it very well might be, but there a tonne of other things to consider when buying a house, beyond what the colours of the wall are. It’s one of the biggest purchases you are ever likely to make, and it can end up being a serious time-sink – but it’s easy to let your heart rule your head when it comes to buying a house. 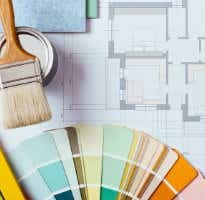 There’s a huge number of factors to consider when buying a house, and most of them are more important than paint colours. With that in mind, Canstar has put together our very own “buying a house checklist” – with a few (unemotional) things to keep in mind when attending the myriad of houses you’ll look at as a prospective home-buyer. Is the house close to important facilities? Does the house have the right number of rooms to suit your needs? What are neighbourhood noise levels like? Does the house have adequate power? Is there any sign of termite activity? Does the property provide sufficient parking space? What will some of the ongoing costs be? Ready to buy? Find out how to buy a house with our guide. 1. What makes us want to call a new suburb home? When it came to house hunting, everyone will want something different in terms of their built environment. Affordability will obviously be a top criterion, but peace and quiet, good schools, shops and a low crime rate are also likely to be important. 2. Is the house close to facilities that are important to you? Closeness to facilities may be especially high on the list of things to consider when buying a house for families. 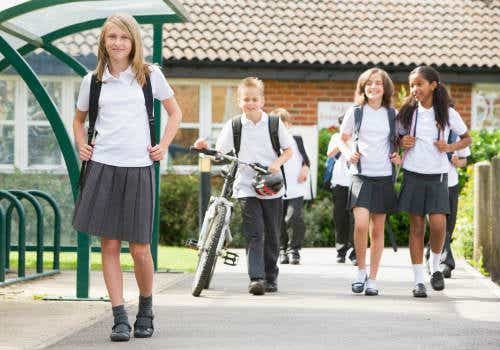 If you have kids, consider how close to their school(s) you want to be, along with school zone areas. Obviously living within walking distance of them may not be possible (or practical in the case of inner-city schools), but you don’t want to leave yourself stuck with a half-hour drive every morning to get the kids to class. Maybe try looking for houses that aren’t necessarily walking distance from the schools in question, but that your children could comfortably catch public transport from and to or ride a bike to. 3. Does the house have the right number and configuration of rooms to suit your needs? This one might seem like a no-brainer, but it’s on our buying a home checklist for a reason. Obviously you won’t spend more than a second or two figuring out the number of rooms the house has, but how those rooms are configured is where your noggin needs to start joggin’. How close are the bedrooms to the living room(s)? It might not seem like a big deal, but if you end up with a bedroom that’s directly next to the room with the TV in it, you might be in for a sleepless night if you decide to turn in early. Look for a house where the living room is a reasonable distance from the bedrooms. Do any of the bedrooms face the west? The cardinal directions aren’t something that you might have at the forefront of your mind when inspecting homes, but believe us when we say that compass points are definitely one of the most important things to ask about when buying a house, especially when it comes to bedrooms. Bedrooms that face west can get very warm, very quickly, and that goes for all times of the year, not just summer. A home with a single western-facing bedroom is forgivable, especially if you plan on using it as a guest room, but if the majority (or all) of a home’s bedrooms face to the west, then that’s a deal breaker in our opinion. What does the future hold? Were you planning on having a kid/another kid anytime soon? Maybe you’ve got a parent who may need to come and live with you in the future due to illness? Either way, consider the number of rooms you’ll need in the future, rather than the number of rooms you may need right now. 4. Are the building and roof structurally sound? This one isn’t on our list of ‘things to ask when buying a house’; it’s on our list of ‘things to figure out the answer to yourself’. What we mean by that is that when it comes to the structural safety of any given building, we don’t recommend taking the agent’s word for it. Get an independent building inspection done, and go from there. We’d also recommend having a building inspector check out the overall build quality of the home, along with the various fittings, the level of insulation, etc. Problems with construction and build quality can also be a deal breaker, if severe enough, so it’s important that you are prepared to deal with that potential heartbreak. 5. What are neighbourhood noise levels like? Property agents can be wily with the way they schedule property inspections and open houses. What can seem like a quiet suburban street in the day can turn into the complete opposite at night, whether that’s due to rowdy neighbours, or inconsiderate motorists. Melinda purchased a home on a street that was very quiet and peaceful on the several occasions she visited it to inspect the home in question. However in the days following the move, she realised that she had moved to a street used as a rat-run by many commuters to avoid traffic on weekday afternoons. Even if there aren’t any official inspections scheduled for different times of day, you should try swinging by and seeing what the neighbourhood is like in terms of noise. Noise levels are in the same basket as structural safety; they’re something you should inspect for yourself, rather than put on your list of things to ask when buying the house. You’ll be hard pressed to find a property agent who’ll be 100% honest with you about rowdy neighbours, even if they’re the noisiest bunch of uni students within a 50km radius. 6. Does the house have good natural light? This may seem like a minor consideration, but bad natural light can really have an impact on the attractiveness of a house, even if you don’t realise it when you’re inspecting the home. The natural lighting (or lack thereof) of a house is one of those things that seems to get overlooked initially, and then noticed post-move, which can lead to some serious disappointment if it’s an area where the house doesn’t excel. That’s why we’d definitely recommend putting natural lighting on your list of things to consider when buying a house. There’s no better way to dash your initial post-move excitement than realising that your home’s gloomy and poorly lit for a large portion of the day; it can really be a bummer! Try to look for homes that face north for optimum natural lighting, and make sure that the house in question is well-equipped in terms of windows. All the natural light in the world isn’t worth anything if it can’t get into the house! 7. Have you checked out the following? We talked about natural lighting before, but it’s also important that the home in question has sufficient electric lighting to keep it well-lit at night. Try to see if you can inspect the home at night to see what it looks like when relying on electric lighting. This may not be a concern for some, but for certain people low water pressure can be seriously irritating, and even a deal breaker in some cases! It can be hard to gauge, but try to at least have a quick look at the shower(s) and judge the water pressure that way. Power points are another thing which can cause headaches for new home owners. Make sure that any home you’re looking at has an adequate number of power points for its size, and that the power points are in suitable locations. You might not have a distinct preference when it comes to what kind of hot water system you end up with, but different kinds of hot water systems come with different pros and cons, some of which may work well (or poorly) for you. Does the home have it? Is it split-system or ducted? Is it an efficient system or a money guzzler? 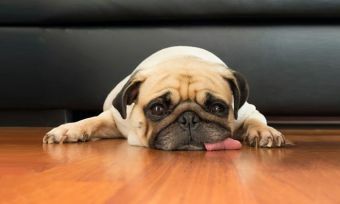 Air-conditioning can be crucial to staying safe in the summer months, but an inefficient or weak system can cause you more problems than it solves, especially when it comes to your wallet. 8. Is there any sign of termite activity? This definitely isn’t something you can take a DIY approach to; get a professional pest inspection done, and go from there. Termite damage isn’t the end of the world, but it’s something that you definitely need to know about sooner rather than later; especially considering the financial headaches it can cause. We can’t say it enough, but termites are definitely one of the more important things to ask about when buying a house. 9. Are there any planned developments nearby? Nearby construction can be a pain in terms of both noise levels and increased traffic, but it can also deal a pretty hefty blow to the value of that home you’re thinking about buying. A drive around the neighbouring streets will give you an initial ideal of any work currently happening, but you should also check with council as to whether there are any approvals in place or applications in the pipeline. If there’s anything coming up, think about whether this is a deal breaker or simply a bargaining chip when it comes to the price you end up paying for the home. Either way, make sure that checking for planned or underway construction nearby is on your buying a home checklist, because overlooking it can lead to some serious buyer’s regret. 10. Is the garden suitable? Green space is a definite plus in anyone’s book, but don’t mistake quantity for quality when it comes to a backyard. Say you’ve got kids that you like to kick a football around with – a large backyard is obviously an attractive prospect for you, but a steep slope can scupper your sporting plans, and that’s a problem you won’t be able to fix unless you fancy forking out a significant wad of cash for landscaping expenses. Think about what you’re looking for in a backyard, and whether or not a garden is even that high on your buying a house checklist; it might not be, and that’s fine! But if you do care about a yard or garden, make sure that you’re aware of what you want, and consider the resale implications of choosing a home with a nice garden or backyard. 11. Does the property provide sufficient parking space? This one isn’t too complex, but it still bears thinking about. How many cars do you have, and how much parking space does the property in question offer? Does it only offer a driveway, or does it come with a garage/carport? You may not be particularly bothered by the difference, but your insurers might! On top of that, do you have a boat, caravan, or trailer that also needs to be parked somewhere? Keep this in mind when considering parking space. 12. Is the property at risk of flooding? New Zealand is not immune to bad weather; just ask anyone affected by recent flooding. Check your local council’s flood maps online, and see if you have any friends or family who live in the area who can advise you on whether or not the area floods. While you can try and look for a home that is built to minimise flood damage, your area flooding will always affect you and your house in some way, which is why flood cover in home and contents insurance is so important for those who live in areas prone to flooding! 13. What will some of the ongoing costs be? Council rates – Will they be more, less, or similar to the rates you were paying in your previous location? Council rates are often overlooked in budgeting discussions, so be sure to keep them in mind when considering where you can afford to live. Utilities costs – Utilities bills such as electricity and gas can vary depending on suburb/state, so make sure that you know what you’re likely to be paying for them before you move. Not doing so could cause some serious financial strife for you further down the track. You can compare the cost of energy providers with Canstar Blue. Home and contents insurance – Your contents may have not changed, but moving to a new home and a new area will have a direct impact on your home and contents insurance premiums, so be sure to take that into consideration when shopping around for a new home. You can compare home and contents insurance with Canstar. 14. Where are the official property boundaries? Official property boundaries are just another one of those things that don’t seem to end up on many people’s buying a house checklist, but those pesky legal lines can potentially cause headaches down the track if you’re not aware of them and where they are. For example, just because a fence is in a certain place does not mean that the boundary of your property is dictated by the fence. Before you buy, ensure that you obtain a property boundary identification survey; lest you end up having a handful of petty squabbles with the neighbours over whose job it is to mow the nature strip! 15. Will you need to do any renovations? There are pros and cons to buying a fixer-upper, but buying a property that is a “renovator’s dream” can turn into a debt nightmare. If you are planning on doing a lot of structural work, get it approximately costed before putting in an offer. Financing a renovation (or several) can be done post-purchase, but wouldn’t you rather just be able to afford the renovation(s) in the first place? Also, consider the safety of those potential renovations; will asbestos be an issue? 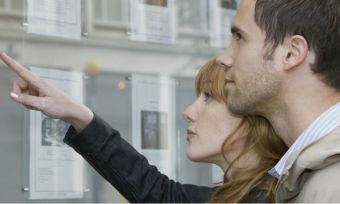 While the above points are all important things to consider when buying a house, these are just the more common considerations – as with any property purchase, ensure that you do your homework and get independent advice before putting in an offer. But once you have put in the offer, why not let us help you find the right home loan for your situation, and home insurance to suit your new home? In the table below you can see a snapshot of current floating rate home loans available in the market, sorted by current rate (lowest to highest). Please note that this table is generated based on a $350,000 loan in Auckland for a first home buyer. If you’re interested in comparing for other regions, or loan amounts, check out the home loans comparison tool here.